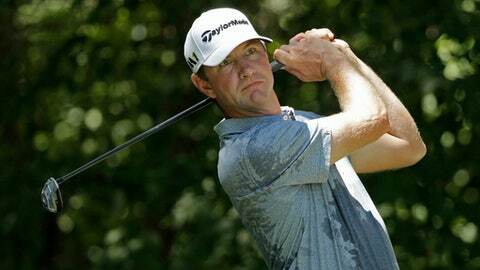 The wife of former U.S. Open champion Lucas Glover made the first call to 911 and claimed she was attacked by her mother-in-law, according to a tape of the call released Wednesday that provided another bizarre twist in the wife’s arrest on a domestic violence charge. Krista Glover was arrested Saturday night and taken to the St. John’s County jail. She was released Sunday on a $2,500 bond and faces misdemeanor charges of domestic violence battery and resisting arrest without violence. She has a May 31 court date. According to the arrest report , Glover told the deputy that his wife yells at him, stating he is a ”loser” and other choice words, when he plays poorly in a tournament. Earlier in the day, Glover shot 78 and missed the 54-hole cut at The Players Championship.